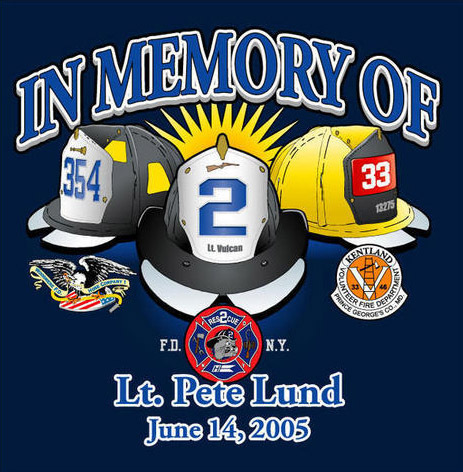 Retired FDNY Lt. Peter Lund died in the line of duty on June 14th after fighting a fire with his volunteer fire dept. in Woodmere, NY. The fire, which occurred at 753 Long Acre Ave., was apparently electrical in nature. After the fire was extinguished, Pete Lund was stricken by a heart attack and was transported to St. John’s Hospital in cardiac arrest. He was pronounced dead at the hospital shortly before midnight. He was 54-years old. Lt. Lund served as a volunteer for the Woodmere Fire Dept. for 35 years, and was Chief of the department from 1989 to 1991. He followed in the footsteps of his father Clarence who served the Woodmere FD for 75 years. Lt. Lund was also an active volunteer with the Kentland Vol. Fire Dept. in Landover, Prince Georges County, Maryland. While Lt. Lund began and ended his time in the fire service as a volunteer, he will most likely be remembered for his 30 year career with the FDNY. He joined the FDNY in 1973 and served until May of 2003. 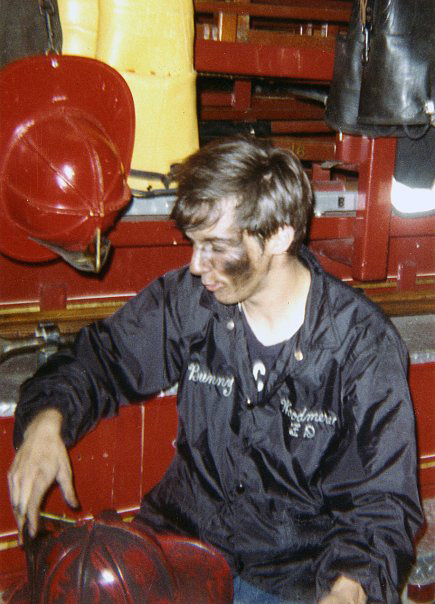 Lt. Lund served as a firefighter in several companies before joining Brooklyn’s Rescue Co. 2 in which he served until his promotion to Lieutenant in 1984. From 1984-1995, Lt. Lund served in the Bronx’s Rescue Co. 3 and then moved to Rescue Co. 2 as a Lt. where he served until his retirement. He was also a member of the FEMA USAR NY-TF1 from 1994 to 2003. During his time with the FDNY, Lt. Lund was awarded 14 citations for bravery, 4 of which were for his own personal acts of heroism. He will be remembered for his tireless efforts in helping to search for survivors after the Sept. 11th attack at the World Trade Center. He will also be remembered for teaching the rescue techniques he had learned to firefighters in other fire depts. around the country. Following the service at St. Joseph’s, Lt. Lund was buried at Holy Rood Cemetery in Westbury, Long Island. Lt. Lund is survived by his wife Andrea, daughter Valerie, and son Matthew is also a career firefighter with the Annapolis, Maryland Fire Department.